Striving to connect people and places through seamless pedestrian, bicycle, and transit networks that are representative of the beauty and character of a community. Otto has a background in bikeshare program management, outreach, community planning, and engineering. 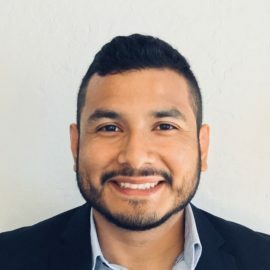 He holds a Master in Urban Planning degree from San Jose State University and a Civil Engineering Bachelor degree from Cal Poly State University – SLO. He has worked with local municipalities, community groups, non-profit organizations, and corporate entities to deliver neighborhood specific plans, program management and support, and system analysis. Otto aims to create seamless pedestrian, bicycle, and transit networks while bolstering the character and identity of communities. His extensive work in transportation demand management programs has allowed him to be a versatile team member who can apply his analytical, communication, and design skills to any project.